Do you ever feel uncomfortable or unsure about how to communicate and interact with someone living with a disability? This series of modules explores how the language and images we use to represent people with disabilities can demonstrate our beliefs and help us be more inclusive. We address misconceptions which can negatively affect relationships in the health care setting and build your confidence in using inclusive language. 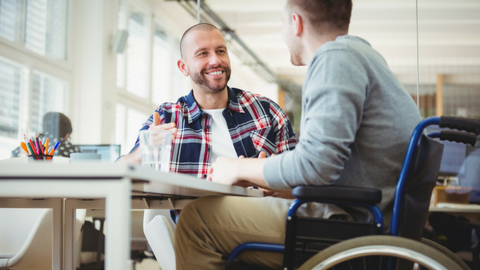 Developing disability awareness means really taking time to think about your own values and beliefs, and how you might demonstrate these intentionally and unintentionally to others around you. In this training we’ll take a look at common ways of thinking about disability. We’ll discuss some stereotypes about disability and consider what your definition of disability means to you, and what it could mean to others. This training will give you a quick overview of two important laws protecting the rights of people with disabilities in Ontario: the Ontario Human Rights Code and the Accessibility for Ontarians with Disabilities Act. We will talk about common barriers people with disabilities encounter when accessing goods and services and then we’ll focus in on the AODA’s Customer Service Standard and what that means for you in serving a diverse community. Finally we explore some practical ways to help you provide excellent customer service to people with disabilities. Awkward situations – we’ve all either been a part of one or we’ve seen one taking place. We’d all like to avoid those as much as possible, but how do we do that? There is a charity in the UK called Scope that has developed a series of videos called “End the Awkward,” which address some awkward situations in an interesting and engaging way. In this module we take a look at some of these (used with permission), and consider how we can use common sense to avoid or diffuse potentially awkward situations at work. One in seven Canadians has a disability. Think about the images of people with disabilities you see in the media. Do one in seven characters have a disability? This module explores how people with disabilities are portrayed in visual media, and how those representations can be interpreted. We look at a series of You Tube advertisements featuring people with disabilities and reflect on the meanings behind the messages. This module looks at how our language can both demonstrate our beliefs and help us be more inclusive. We begin with the tone we use to communicate with others. From there we analyze three different ways of telling a story about a person with a disability. You will choose which version you think is best, and analyze why. At the end we review a few key points to keep in mind for using respectful language in the workplace and beyond. This video series will appeal to individuals serving and supporting people with disabilities who are looking to build awareness and confidence in using inclusive, respectful language and images. Spinal Cord Injury Ontario is a leader in providing support, services and advocacy for and with people with spinal cord injuries and other disabilities. We have partnered with rehab facilities and health care professionals for more than 70 years in support of our clients and in pursuit of our vision: people with spinal cord injuries living the life they choose in a fully inclusive Ontario. Cortree is your direct line to disability education. Curated by industry experts, our courses offer up-to-date information on topics that boost your confidence, competence and community. 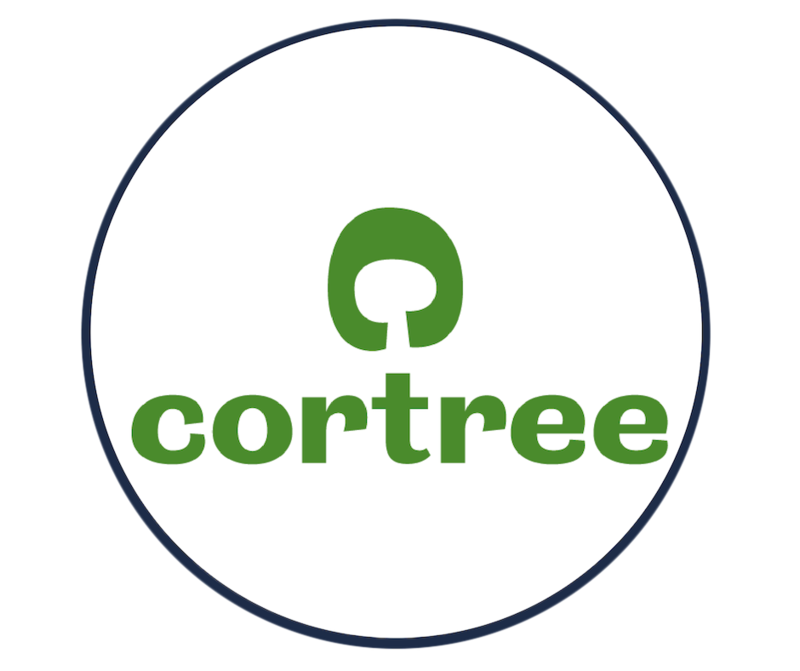 Cortree is a social venture owned by the charity Spinal Cord Injury Ontario. We’ve developed Cortree with the help of our vibrant community members, people who get it, who know life with a disability inside out and are excited to share what they know with you. We’ve also worked with industry experts, health care pros, researchers, counsellors, disability specialists – professionals whose experience and expertise are built into every course you take. We reached out to our community to find out exactly what topics are most important for people with disabilities and families. The answers? Choosing a Wheelchair. Pain Management. Sexual Health. Nutrition & Kitchen Accessibility. Vehicle Modification. These topics represent some of the many dynamic, interactive Cortree courses you’ll find to help improve or enhance your health and well-being. Look for more topics in the coming months to help you make your home accessible, stay healthy, get back to work, and live the life you choose. Cortree is grounded in the spirit of Peer Support and Independent Living. At Spinal Cord Injury Ontario we’re committed to making life more inclusive and accessible for people with disabilities. Want to help improve accessibility in Ontario? Just say “Yes! Sign me up!” and you can help Spinal Cord Injury Ontario serve, support and advocate for and with people with spinal cord injuries and other disabilities.